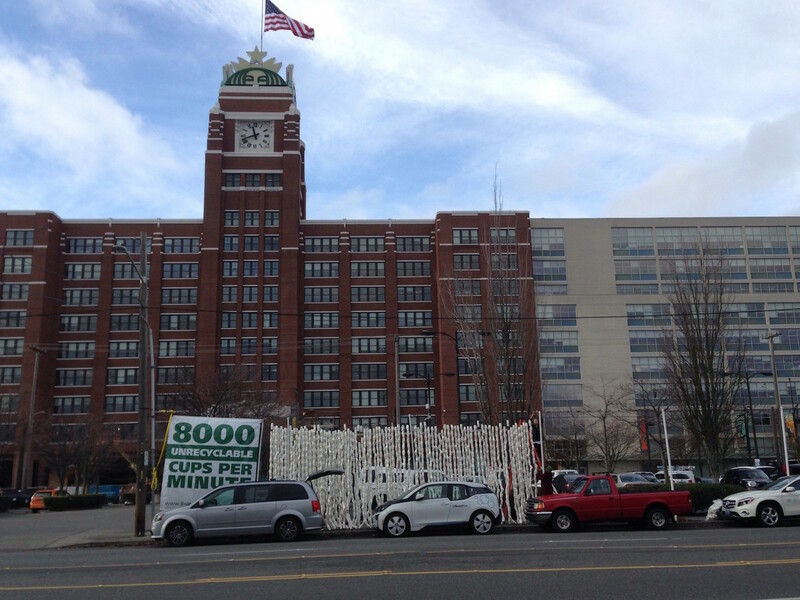 Stand.earth protesters are attempting to erect a wall made from 8,000 used Starbucks cups outside the company’s Seattle headquarters. The group claims that 8,000 Starbucks cups on average are entered into the global waste stream each minute. Daily Coffee News has not been able to confirm that figure. The grassroots environmental group Stand.earth, formerly known as Forestethics, is this week staging a five-day protest outside the Starbucks headquarters in Seattle to raise awareness of coffee cup waste and put public pressure on the company to advance its sustainability goals. 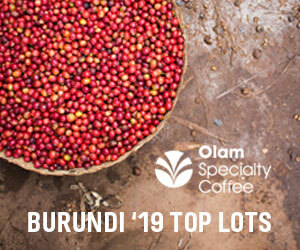 Starbucks has been one of the only major retailers in coffee to actively set sustainability goals related to cup waste. 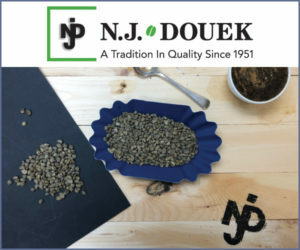 Unlike syrup bottles, milk jugs or other “back of the house” waste materials, paper and plastic cups remain a lightning rod for corporate sustainability criticism and a blight upon the retail coffee segment at large. Starbucks has been setting sustainability goals for its takeaway cups — which in many local markets are non-recyclable due to a thin plastic coating — since at least 200os, yet paradoxically the company also famously promotes its takeaway cups. For example, today the company announced the release of its second holiday-themed cup of the year. At a Starbucks corporate leadership meeting in 2008, a reportedly impassioned Howard Schultz, who was then the company’s CEO, made the announcement that the company was committed to developing or sourcing 100 percent recyclable cups by 2012, a pledge that has not materialized, even according to Starbucks’ own most recent global social impact report. 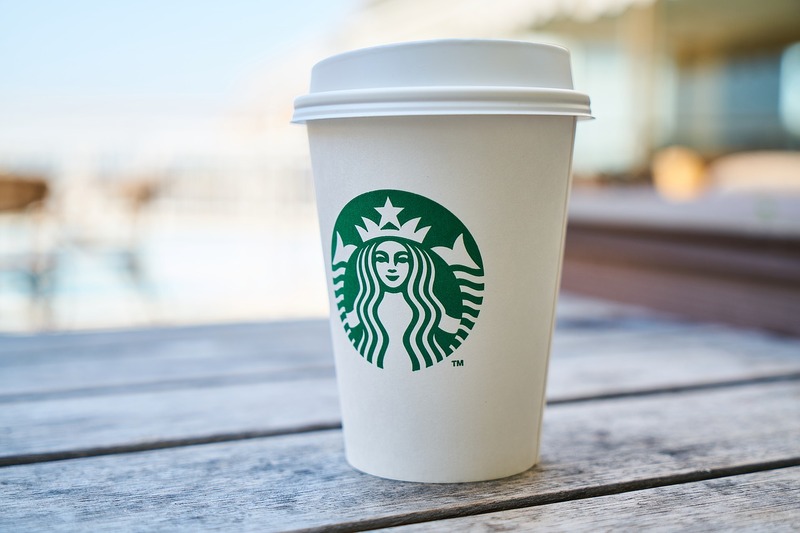 Through its corporate communications, Starbucks has maintained that it has been implementing greener cup solutions since as far back as 1997, when it sought a recyclable cup sleeve to eliminate double-cupping. Most recently, the company began rolling out a more recyclable polypropylene lid to its U.S. stores. The company has admitted delays in finding more recyclable solutions for both its paper-based hot drinks cups and its plastic cold drinks cups, revising its goal to include a “greener” cup by 2022. Stand.earth should also be pressuring states whose sales tax structure encourage wasteful “to-go” culture. In California, all drinks for take-out are not charged sales tax (this is the reason why companies like Starbucks choose to-go only business models). Basically, California’s sales tax structure promotes single-use waste in how it collects sales tax. In my humble opinion, the paper cup to-go should be taxed, and the Latte in a nice ceramic cup “for here” should be tax-free. Perhaps this would be a good investigative story for Daily Coffee News! Phil are you absolutely certain this is the case in California? Last I knew, the takeout was taxed as it is a product leaving the premises, while eat in house was not on the premise that one ingests it and it is thus part of one’s self when one leaves. If what you say is true, it would be a rare outlier nationwide. I KNOW in Washington all ‘fast food” and “ready to eat food” (including, stupidly enough, a large salad or fruit plate from the produce section of a grocery store that comprises cut but still raw foods, is taxed as if it were a non-food item. Any business would be unlikely to modify their sales practices on the basis of wheter sales tax is applied or not, as that is an add on cost direct to the consumer, not a part of the price of the goods sold. I sincerely doubt that sales tax policies drive the use of disposable containers one way or another, unless the container is charged a deposit refundable upon return, not the case with the disposable coffee cup. quote from the alldeged leader of this eco group. He proves his gross ignorance with this statement. NO TREES are “killed’ to make their paper cups.. EXCEPT trees that are specifically cultivated for the express purpose of being cut for paper and related goods. No, no naturally occurring trees are harvested for pulp. Why? Tree farms grow trees for pulp just like corn farmers grow corn for corn, alcohol to feed the ethanol fuel mandate nonsense, or silage for cattle feed. The main difference is taht trees for pulp might stand on the same field for fifteen years or so before harvbest, whereas the corn might stand for thirty or forty weeks before harvest. I’ve watched one field of pulp trees be harvested, replanted, grown, harvested again, four times since I’ve lived in Washington. SO, the issue is.. what, exactly? The soil used to farm trees is “destroyed” how, again? Further, I wonder why these folks are targetting Starbux, who are working toward a solution, perhaps not as quickly as these guys would like to see. How about THEY educate themselves and set to work toward a solution instead of badgering someone else who is, costing them time, money, reputation, hassle? These guys are not part of a solution, thus are part of the problem. Starbux ARE part of a solution, they’ve made SOME progress and continue to do so. The real target of thiese protests ought to be not Starbux, but the individuals who go there and buy their coffee in the paper cups. But it won’t be, as the millions who do that are faceless nameless locatioinless individuals, making billions of individual buying decisions yearly. Maybe these protesters should spend some time and effort hiring some scienteists and engineers who would design a system of stocks that would meet all the needed criteria for a disposable cup that is recyclable or convertible into energy, perhaps in a biomass burning plant, or something like that. The plasitc liner, necessary to render the cups hot liquid proof, seems to be the problem. Find a substitute that will serve the purpose, yet be burnable or biodegradable over time. Starbux are the wrong target for their complaint. When trees are taken for products, they are replanted. The ironic reality is, when something is in demand, it becomes valuable and that resource is amplified if it is renewable. In the case of trees, if you want to promote growing them, you use more of them. I would promote the of only wood products to drive more consumption of them and maybe give some thought to using land to grow more trees rather than build more recycling plants which are just another source of carbon emissions and energy use.